Putting the consumer first in health care is self-evident. It advances the long-held axiom of “First do the patient no harm”. It may also represent an advance in contemporary health care that health care organisations need to focus more on. This edition of Health Voices explores the issues facing Australia’s health workforce, particularly from the perspective of consumer-centred care. As the health workforce survey we conducted for this issue shows, organisations representing health professionals recognise the benefits of patient-centred care, but only 50% of respondents felt that their members had access to adequate resources to support a patient-centred approach. Fewer than half said patient-centred care was enshrined in organisational policy or their code of conduct or that their organisation had a patient engagement policy. The articles in this issue display the wide variety of views on the opportunities and challenges of making best use of our highly skilled and committed clinicians. But on the best directions for the future, there are, of course, any number of reasons for us to hold on to existing practices and demarcations. Or not. That chorus of divergent views strengthens our belief that any consideration of change should rest on what the demonstrable benefits are for the patient and consumer. Making patient benefit the litmus test should at least help guide us through the thickets of current practice and impediments that hinder developments in health care that would truly harness the potential offered by advances in health and medical knowledge and technology. Our policy officer, Rebecca Randall, who analysed the responses to our workforce survey, found that all respondents agreed that patient-centred care is associated with decreased mortality and improved adherence to treatment regimes. Yet just 40% reported that their organisation had a patient engagement policy. There is a role for consumer groups, including CHF, to help organisations understand how to include consumers throughout their work, Rebecca finds. Health Minister Sussan Ley forecasts big changes ahead for the health workforce, such as greater roles for nurses and challenges flowing from an expected over-supply of medical practitioners. She seeks a sustainable, consumer-centred and people-centred health system. Getting the workforce mix right will help ensure that, the Minister says. Shadow Health Minister, Catherine King, says the potential of the patient-centred health care home to improve chronic care is limited if there is not a framework to support workforce change. Professor Michael Woods, recently appointed to head an Independent Review into the Accreditation System of the health workforce, gives an expert overview of past and future aspects of workforce reform. He says the new review gives an opportunity to consider accreditation’s part in the health care system, in developing a workforce that is efficient and effective, that delivers safe, high quality care and that is both sustainable and responsive to the needs of future health consumers. Stephen Duckett identifies three obstacles to a more effective health workforce: what health professionals currently do, how they are paid and where they work. At a time when so much emphasis in health is on costs, Australia still has widespread instances of highly-paid professionals doing work easily within the scope of those lower-paid staff. ”Too many health professionals squander their valuable skills on work that other people could do,” he says. Professor Sharon Lawn suggests Elvis Presley’s song Walk a Mile in My Shoes as an appropriate message for health professionals caring for people with chronic conditions. She writes of the “cathartic” experience health postgrads find when they are asked to set themselves the kind of lifestyle behaviour changes they expect of patients. We are seeing a surplus and scarcity when it comes to doctors in Australia and Professor Anthony Scott says Australia has one of the highest levels of supply in the OECD. “But the overall numbers don’t reflect the real story.” More GPs may be needed compared to specialists to cope with increasing chronic disease, but the number of specialists has grown at almost 10 times the rate as that of GPs. The distribution of doctors across specialties, private-public, urban/rural, and socio-economic status areas, needs to be changed if access to care and population health is to be improved, he says. Dr Michael Gannon argues that patient care must take priority. While other health professionals seek new roles, often on the premise that they will see simple cases, and that this will free up doctors for more complex work, “there is rarely such a thing as a ‘simple’ presentation” he declares. Taking a wider global and societal view, the World Health Organisation’s James Buchan and Ibadat Dhillon point to increasing evidence of the broader socioeconomic benefits of health workforce investments. Health-care employment’s growth-inducing effect together with the expected growth in health labour markets, means that investing in health-care education and jobs would for countries at all levels of socioeconomic development, create qualified jobs, particularly for women and youth. Physician leader, Dr Catherine Yelland says Australia’s fragmented health services can impact the quality of patient care and also lead to inefficiencies, duplication and wastage. What Australia needs is a health system designed for patient-centred care, focused on quality and safety, providing for measurable outcomes, with flexibility and local implementation, and promoting a cross-sector approach. Florence Nightingale would have been appalled to learn there was a movement for ‘patient-centred care’, according to a comment referred to by Lee Thomas. You can imagine Nightingale saying: “Why do you need a movement? Isn’t the patient in the centre now? If not the patient, then who is in the centre?” Lee Thomas says that in today’s health system ensuring person-centred care requires a team approach involving structural shifts such as innovations in nurse/midwife-led models of care. 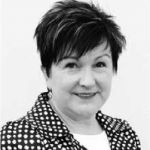 From New Zealand, Helen Parker describes a reform which broke away from a provider-centric, doctor-based system, to a cloud-based, system-agnostic approach that empowered patients to use their health record to manage their own health and care electronically. Giving an English perspective on integration, Helen Gilburt says engaging the workforce right from the start in the aims of integration, not only builds support for new ways of working, but can result in staff identifying and implementing appropriate solutions themselves. Contrary to the narrative of ‘challenging professional protectionism’, evidence suggests that actively recognising and reinforcing professional boundaries can build trust and respect which in turn enables greater role flexibility. Health workforce regulator, Martin Fletcher, writes that Australia’s National Scheme for all registered health practitioners focuss on patient safety and workforce, creating a solid platform for ensuring that regulation does not create unnecessary barriers and can enable the continued development of the flexibility, responsiveness and sustainability of the health workforce. Pharmacists can make a significant contribution in collaborative and integrated models of care such as in a GP setting that would not only improves health but can also strengthen links between local general practices and community pharmacies, says Lance Emerson. Allied health advocates, Meredith Burn and Philipp Herrmann, say universities lack regulated approaches to allied health courses to match the supply of graduates with the demand for allied health services, leading to oversupply in some allied health professions while others need many more graduates. Rod Wellington makes the case for significantly more resources and attention to be direct to allied health workforce shortages particularly in rural areas despite their demonstrated benefits to health care. We conclude this edition with a thought-provoking reflection from Jennifer Doggett that workforce scarcity can prompt fresh solutions from outside current workforce ranks. There are already examples of flexible and innovative thinking within the health system she says. In many cases these occur in environments with significant workforce shortages and constrained resources, such as rural, remote and Indigenous communities.